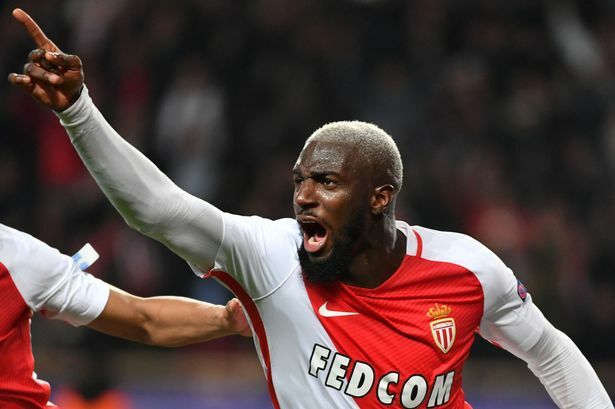 Monaco midfielder Tiemoue Bakayoko is interested in making a switch to Old Trafford in the summer, but only if José Mourinho’s side qualify for the Champions League. United have two options available to them in order to bring Champions League football back to the Theatre of Dreams next season, either by getting top four in the league, or winning the Europa League. And, if Bakayoko is interested in joining the club if they make it into the CL, then it adds even more incentive to make it into Europe’s most prestigious competition. The 22-year-old has been on fine form for Monaco this season, who find themselves top of Ligue 1 and in the Champions League quarter-finals, after dispatching Manchester City in the previous round. There have been reports that the midfielder has agreed a £35m transfer with Chelsea, yet according to the Manchester Evening News, this is not the case. Should United make it into the Champions League for the 2017/18 season, Bakayoko will be interested in joining the club. “Tiemoue is listening to some clubs from England, including Manchester United, but there is nothing concrete right now,” an unnamed source close to the Frenchman told the MEN.